We at NEI would like to thank all of you for the overwhelming support and feedback that has been given since we started less then two months ago. All of the rankings are subject to change as we breakdown individuals based on college potential and where they project at the next level. 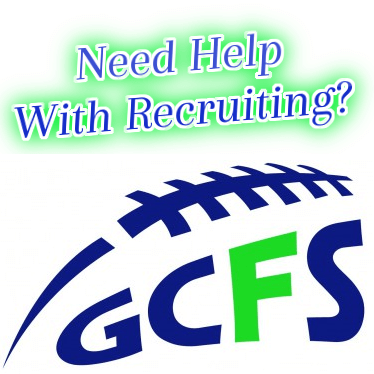 Our goal is to provide you with a reliable rankings source that Oregon has been lacking. Here you will find updated information, as well as current stats and all relevant info for each player. We are always looking for individuals we have missed so feel free to let us know who’s deserving. 1. Thomas Tyner- Aloha 6-1 210 RB…One of the fastest kids in the country, First ever Soph to win Oregon Player of the Year honors..Will be 4 or 5 Star recruit, (1821 yds, 21 Tds, 9.24 YPC- Junior year) 4.3 (40) yd dash, 6a state champion 100 M, 4 X100..Probably a slot at the next level, potential Olympian on the Track…(2011 stats, 3 games, 639 all purpose (513 rushing 126 receiving, 7.66 YPC, 4 Tds) . 3. Evan Voeller- West Linn 6-5 295 OL…Looked at as one of the top lineman in the region. Did very well at a variety national camps, multiple Pac 10 offers already (Washington), currently teaming with Cam Keizer to help the Lions to 5-1 record. 4. Brayden Kearsley- Aloha 6-5 265 OL…1st team all state as a Soph. One of the best lineman on this side of the country. Big time Division 1 talent..Battles with Balducci at Barton Premier Marketing event were epic. 5. Connor Strahm- Sheldon SB/DB 6-1 210 SB/S…Has been off the charts good, maybe the state’s best overall player..(2011-5 games, 603 yards all purpose, 11 Total Tds, 23.83 YPC ..12 Td’s, 3 INT, Second team all league as a Soph)..The kid can do it all and is legit D1 talent. 7. Matt Sommer- West Salem 6-5 290 DL…2nd team all league, D1 size with a very promising 2010′ season to build on..His overall athleticism for a kid this big is off the charts (basketball). He is able to run and track down ball carriers half his size. 8. Bryson Sullivan- Aloha 6-4 245 TE/DL…Athletic ability is incredible for a big man, Can go either way at the D1 Level, 3 Tds- 5 sacks as a soph. Breakout game against Grant before injury being named player of the weel. Currently NEI’s #1 ranked TE and one of the best DE’s in the state. 16.Evan Colorito- Beaverton 6-4 210 TE/LB… Leading Beaverton’s Defense in Sacks, fly’s off the ball creating havoc on most plays. Super athletic with NFL Genes, Father played in Super Bowl with Denver, All league DL 8.5 Sacks as a sophomore. 17.Beau Duronslet- Central Catholic 6-1 190 ATH/DB…Incredble athlete, 68 tackles, 4 Int’s, 9 Pass Deflections as a soph..Legit D1 potential, (2011 stats: 7 rec, 213 yds, 30.4 ypc, 4.4 TPG) Head coach Pyne calls him “most of the time the best overall football player on the field”. Currently in running for Conference offensive POY. 18.Austin Powell- Crescent Valley 6-4 260 OL/DL…Solid athlete that tested very well, Multi sport kid with good size..MVP D line at recent combine. Notre Dame has been contacting him among others. 2011 stats: 2 TPG, 1 FF, gets double teamed regularly. 19.John Carroll- Mt. View WR/DB 6-4 190 WR/S… 3 sport athlete that can write his own ticket, 2nd Team All League both ways, 6 Td’s/ 6 Int’s as a soph..D1 size, 5A favorites with Skotte & Hollister’s..
21.Kamerun Smith- Marist 6-5 200 QB… Transfers to Marist from Willamette to team with Walcott/ Baird, Really playing well and looking comfortable with his new team..18 Tds, 4 Int’s, 62.6 com pct, 1270 yards passing, 5 games). He is all of 6-5 and is one of the top junior QB’s in the state. 22.Antonio Bella- Roosevelt ATH/DB 5-10 175…1st team all league as a Soph, super quick and is dangerous anytime he has the ball.. 2011 stats: 26 receptions, 417 yards receiving, 16 YPC, 2 tds/ 3Ints..Helping the Roughriders to their highest point total in school history thus far. 25.Bryon Bodon- Crescent Valley 6-4 255 OL/DE..Boden is a beast inside and will team with Powell to form one of the best 1-2 punches in the state, he MVP’d a legit combine during the spring over Voeller showing off his potential. Definitely looks the part. 29.Mike Ralston- Jesuit 6-6 240 WR…Basketball player that could end up being a legit D1 receiver, going to be very hard for DB’s to defend, raw talent..Playing mostly defense. 30.Jack Anderson- Lake Oswego 6-3 190 WR/S…Outstanding 3 sport athlete, Will start on both sides of the ball..Played behind Tyson Coleman last season..One of the Top Junior in the state, one of the top DB’s in the Three Rivers, multiple interceptions. 31.Adrian Garcia- S.Medford 6-0 165 WR.. One of the top Junior WR’s in the state, breakout performance against Roseburg..8 catches, 138 yards, 2 touchdowns. Perfect sidekick to Retzlaff. 34.Bruce Jones Jr.- Sunset 5-11 175t RB/DB…young for the grade, transfer from Aloha that would start at most 6A Schools, extremely athletic..Playing more and more and is the future of the Sunset program. 35.Jeffrey Williams- Tualatin 6-3 215…BYU said to be interested, very talented athlete..2 receiving Td’s, big kid in the middle that can fly around as a backer. 36.Justin Adams- Sandy 6-6 190..3 sport athlete that is one of the top junior QB’s in the Pacific Northwest. Another kid with all of the intangibles to play at the next level, 5 Td’s passing and 1 rushing in recent performance. 39.Michael Kluge- Aloha 5-10 280 OL/DL…Flat out winner that tore up the state as a Sophomore. Skills are there, size is different, Currently holds national records for his class in the bench 450+..
40.Wyatt Houston- Horizon Christian 6-4 220 QB/ATH…Outstanding athlete with D1 body..Should have his way with most 3A competition, projects at TE/OLB but is throwing the ball well. 44.Dom Baldocchi- Jesuit 6-3 250 OL..Good size athlete that is lacking experience but has outstanding potential. Will team with Rich and Kirkland to form one of the top lines in the region. 47.Mitch Lewis- Sheldon 5-11 165 RB/DB..Outstanding two way threat, 26 rush, 203 yards,7.8 YPC, 5 Tds/ 3.2 TPG, 2 Ints..
51.Sam Stelk- Tigard 6-5 230 DE/QB..Will most likely play the D End or TE position at the next level. His transfer from Summit is huge for the junior class who welcomes the strength and size coming off the end. 52.Zach Floyd- Tigard 5-8 160 RB/DB..Undersized but super fast and strong.. His stock his rising quickly; 2011 stats: 440 yards, 8 Tds,7.7 YPC, Before 32 carry 172 yard rushing performance (2 Td) against Tualatin. 53.Max Bailey -Putnam 6-2 180 QB..The Kingsmen are excited to have a kid like this. He looks the part and has two top tier targets in Stephenson and Skiles. 54.Zach Floyd- Tigard 5-8 160 RB/DB..Undersized but super fast and strong.. His stock his rising quickly; 2011 stats: 440 yards, 8 Tds,7.7 YPC, Before 32 carry 172 yard rushing performance (2 Td) against Tualatin. 63.Jaylynn Bailey- South Salem 5-11 190 RB- Has the speed to play at the next level but will it translate on the field? 2011-3 Td’s on 18 carries for 175 yds..The 9.7 per carry is impressive but why so few? 65.Ryan Walsh- Wilsonville 5-11 160- Has become the featured back in the Wildcats system, 636 yards, 8.6 YPC, 5 tds and Wilsonville is legit. 66.Dakota Kemper- Banks 5-10 185 RB..Good young talent that earned first team all league honors as a sophomore..
68.Cody Summers- Tualatin 6-2 270 OL..One of the T Wolves leaders, good size with a football family..
70.Hayden Ficek- South Salem 6-3 245 OL/DL..Done very well at camps and looks to have frame to add additional size. 71.John Emerald- Springfield 6-0 180 DB/WR..2nd Team all league back, one of the best athletes in the Midwestern conf, 2011: 10 rec, 243 yds, 2 Tds, 5 games, One of the best athletes in conference. 72.Buddy Webb- Jesuit 5-10 160 DB/ATH..Incredible athlete that tests very well and will be happy to show off his dunking abilities. Tough game against LO, but overall a super talented kid. 74.Taeveon Ashley- Grant 6-4 250 OL/DL..Good motor, started as a sophomore and was an all conference kid. Definitely the future of Grant’s Line. 76.Braeden Emrick- South Eugene 6-0 200 LB/RB..Good football player in a real tough situation playing for the Axemen, brutal at South.